Purchase with common sense and Manage with Reasonable Care Residential Vila Plots In Bangalore-INDIA Starting from 21.5 Lakh Onwards for NRI'S People. NBR Developers�� projects in other areas of Bangalore have been well received by customers who place their faith in the company time and again to enjoy great returns. Villa Plots In Bangalore-INDIA Starting From 23.5 Lakh On Wards!! Are You Looking For a Great Profit? Then Book a Gated Community Villa Plots In Bangalore-INDIA Starting From 23.5 Lakh On Wards for NRI's People Only.the company aims to foray into other cities for expanding its real estate activities and will continue to strive to provide the best value for money for its customers. Make Your Next Big Dream a Real One - Get 10% Exclusive Offer for Canadian NRI'S!! Make Your Next Big Dream a Real One, Get 10% Exclusive Offer for Canadian NRI'S Invest Your Money in Bangalore-INDIA Residential Villa Plots Starting From 21.5 Lakh On Wards Affordable housing and innovative ideas in construction. Residential Villa Plots Starting From 20.5 Lakh On Wards for NRI's People. The Life Time Dream Turning Real, Invest Your Money In Bangalore-INDIA, Residential Villa Plots Starting From 20.5 Lakh On Wards for NRI's People. We also offer houses, flats, apartments and independent villas for sale. Residential Villa Plots in Bangalore-INDIA Starting From 22.5 Lakh Rupees On wards for NRI'S People. Now You Can Trust Your Investment Gated Community Residential Villa Plots in Bangalore-INDIA Starting From 22.5 Lakh Rupees On wards for NRI'S People We also provide maintenance services post hand over as per the terms agreed upon during purchase. Luxurious Fully Furnished Plots In Bangalore Price Starting From 23.5 Lakh Rupees Onwards for NRI`S people. Luxurious Fully Furnished Plots In Bangalore-INDIA Price Starting From 23.5 Lakh Rupees Onwards for NRI`S people. We plan roads and pathways inside the projects and also provide landscaping and garden facilities. Our lawn maintenance teams are always on top on their game and maintain the project in a tidy and aesthetically pleasing fashion. DTCP Approved Villa Plots in East Bangalore-India Starting From Rs. 24.5Lakh Onwards for NRI'S People. 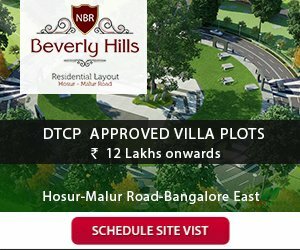 DTCP Approved Villa Plots in East Bangalore-India Starting From 24.5Lakh Onwards for NRI'S People. Book Now. Residential Land for Sale in Hosur, Bangalore South Rs 22.5 Lakh for NRI'S People. Residential Land for Sale in Hosur, Bangalore South Rs 22.5 Lakh for NRI'S People. We usually venture into massive scale projects and have the layout properly planned and approved by the respective authorities before coming up with individual floor plans. Discover the Hill Station of Future, Gated Township Villa Plots Starting From 21.00 Lakh On Wards!! Discover the Hill Station of Future,Gated Township Villa Plots in Bangalore-INDIA Starting from 21 Lakh On Wards. It has been our earnest desire to provide the best value for money to our customers and provide them with homes that they can be proudly associated with. We plan roads and pathways inside the projects and also provide landscaping and garden facilities. Offering 10% Discount for NRI People!! Offering 10% Discount for NRI People - Residential Villa Plots Starting From 18.5 Lakh Onwards in Bangalore-INDIA. Our lawn maintenance teams are always on top on their game and maintain the project in a tidy and aesthetically pleasing fashion. Book Now. Quality is never an accident; it is the by-product of determination, hard work and a passion to satisfy customers. We are a dedicated and innovative real estate developer located in Bangalore and specialized in the following creating and developing land plots in Bangalore for residential and business purposes. Real estate is an extremely competitive industry and maintaining a reputation, bettering it and etching a brand name in the heart of customers isn�t an easy task by any standards! NBR Developers has managed to do so since inception and has been a trend setter as regards quality, affordable housing and innovative ideas in construction. Founded in 1998, NBR Developers led by Managing Director Mr. Nagabhushan Reddy has carved a niche for itself in the real estate industry with its unique projects that have attracted buyers from all walks of life. Within a mere 17 years presence in the field, the company has brought in revolutionary thinking in terms of providing a gated community styled living at the most affordable pricing so that owning a dream home is no longer a distant dream for a middle income buyer.